One Space. Four filmmakers. Big picture. 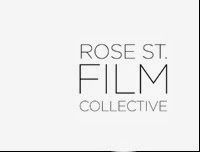 The Rose St. Film Collective is a tight community of Cape Town independent professional filmmakers working to produce cutting edge South African narrative and documentary features. We share a lively communal workspace, host peer workshops, screenings and film critiques, and support each other through the life of our members' projects. It's our mission to inspire groundbreaking films and maximize exposure of the best work from Cape Town-based filmmakers. On Wednesday, 22 January, they are having a Slamdance screening and Skype hook-up with the Slamdance festival director and the director of last year's winning film (the documentary "The Dirties") at their Rose Street Film Collective offices. Over and above the screening Richard Slater-Jones from RSFC says: "We're trying to grow a community of like minded filmmakers and increase facetime contact and communication and collaboration between Cape Town independent film makers."